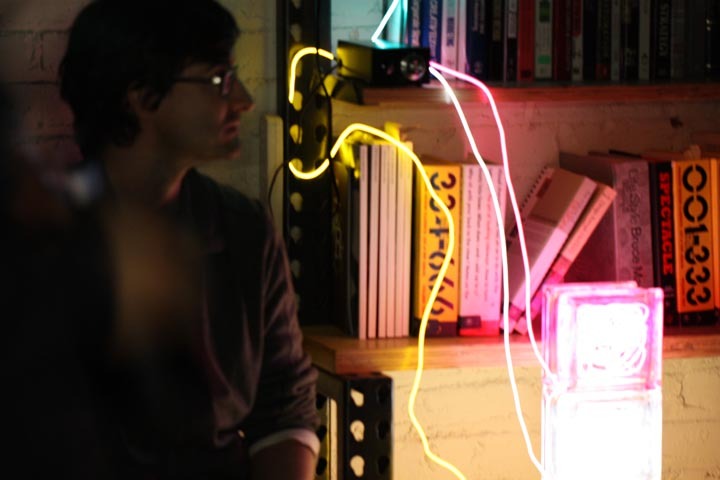 The updated version of these light sculptures took off on fab.com in May 2012. You can learn more and buy them at betablocs.com. This is one of my favorite projects, created during Bill Burnett's Formgiving class for the Illuminating Object assignment. 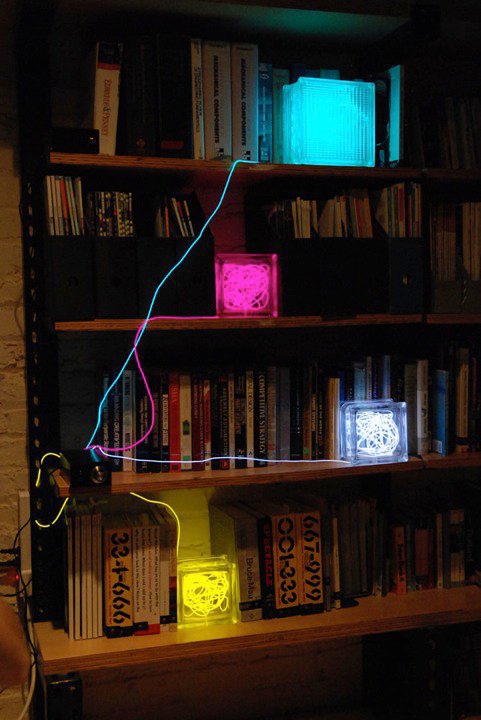 Modular Beta Blocs were created from reclaimed architectural glass block and electroluminescent wire that plug into a purpose-designed control box. They are dimmable and can be programmed to a respond in various ways to a wide range of external stimuli including ambient light, sound, touch, temperature, humidity, proximity, etc. This animated gif shows how a new version responding to sound. The video below shows the very first prototype responding initially to the sound of bubble wrap popping, then to the vibration caused by me shaking it vigorously. From a design perspective, I chose to explore the physical principle of Brownian Motion, or the seemingly random movement of particles suspended in a liquid or gas. 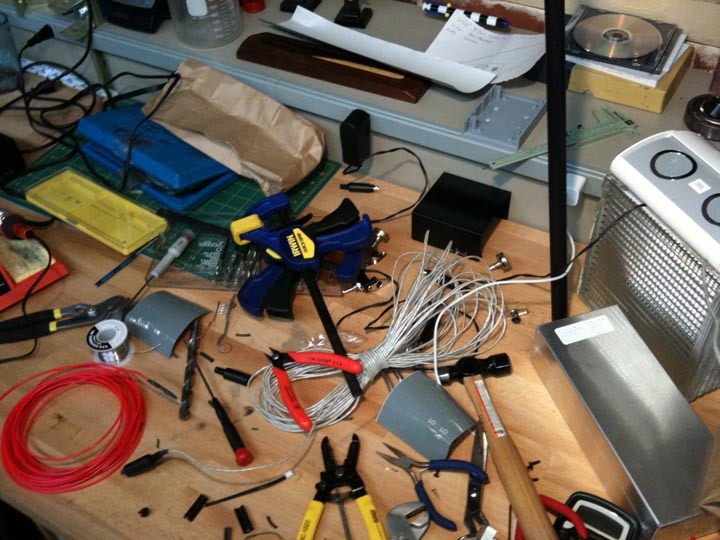 The 25' - 40' of EL wire are fed carefully into a painstakingly drilled hole in each block. 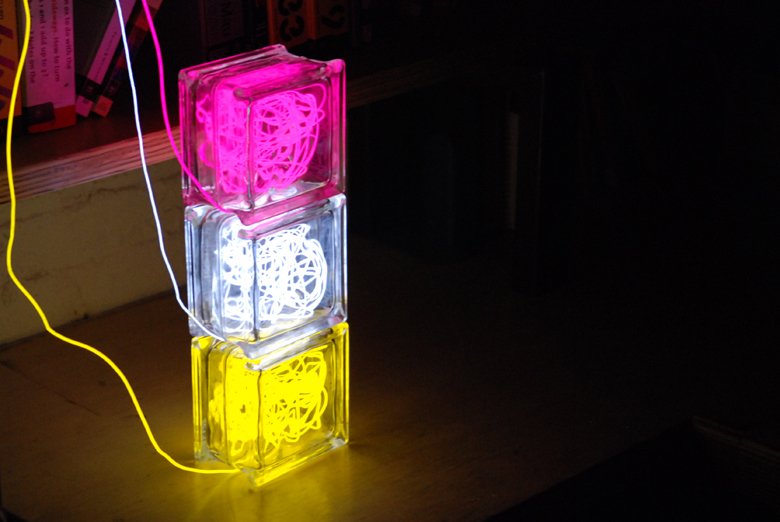 The path of the EL wire is primarily a function of the block's internal volume and features, enabled by only minor aesthetic input during the assembly process. Link. Published on March 03, 2010 by Michael Turri.